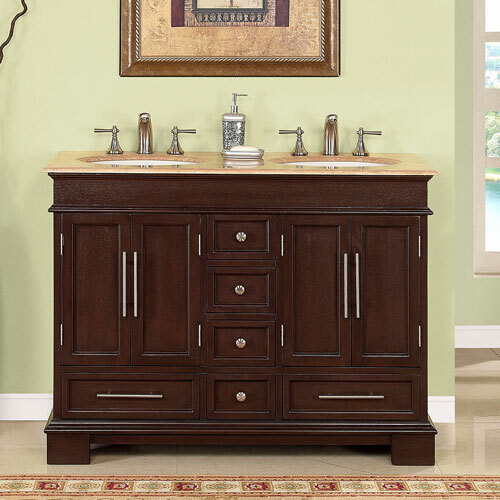 The 48" Denza Double Bath Vanity is a sophisticated bathroom centerpiece. 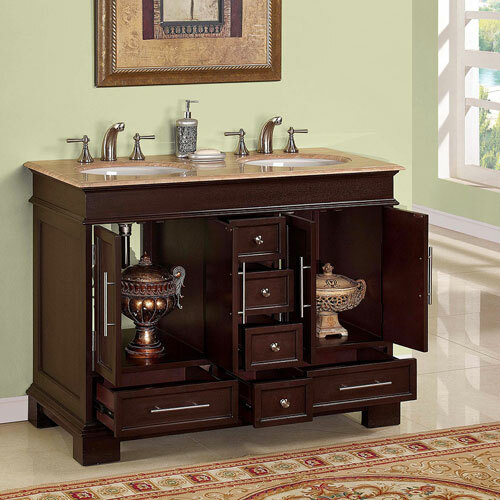 Its rich finish and classic style make it a great choice for any bathroom. Beveled details on the doors, drawers, and apron give this vanity an outstanding furniture feeling. Six drawers and four doors provide all the storage and organization you could need. Faucets are sold separately.